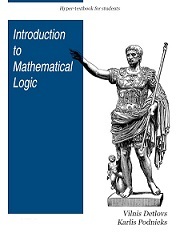 This book explores the principal topics of mathematical logic. It covers propositional logic, first-order logic, first-order number theory, axiomatic set theory, and the theory of computability. The text also discusses the major results of Gödel, Church, Kleene, Rosser, and Turing. From the table of contents: References; 1. Introduction. What Is Logic, Really? ; 2. Propositional Logic; 3. Predicate Logic; 4. Completeness Theorems (Model Theory); 5. Normal Forms. Resolution Method; 6. Miscellaneous (Negation as Contradiction or Absurdity). Karlis Podnieks is a Professor and Faculty of Computing at University of Latvia.